There was a moment in the first act of Jurassic Park, as the cars leave the station and the characters are being shown the dinosaurs in their paddocks that everyone must have felt – “how cool would a dinosaur theme park be?” Of course we know how this ends but the idea of being able to see the dinosaurs close-up and in a habitat was one that had potential. It is also a big reason why the sequels to the original Jurassic Park don’t really work. They are based on a second island, in a jungle: no rides, no pens, cages or paddocks. It isn’t Jurassic Park. 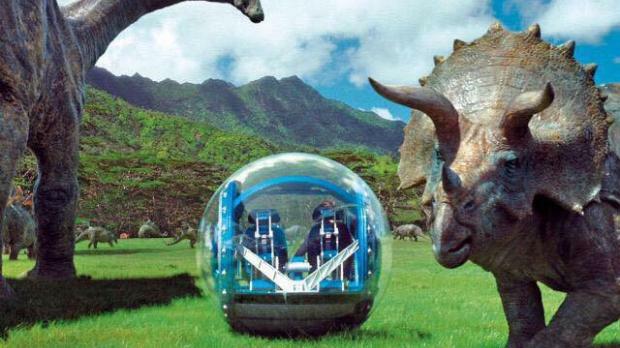 It is notable that one of the best parts of Jurassic Park 3 is when we see the “aviary” for the flying dinosaurs – as close to Jurassic Park as the sequels get. The moments in the working Park will give you goosebumps! That is why Jurassic World successfully does something the two sequels don’t: goosebumps. It happens in that first instance; when we finally see the theme park, running in full swing, dinosaur attractions, rides and over-priced shops. You can’t help but get that feeling of “wow, it worked!” Seeing the Mosasaurs jump from the water, spraying the crowd like an extreme killer whale attraction will put a smile on anybody’s face and really brings the park alive. Of course, this is the Jurassic Park franchise so enchantment won’t cut-it. We have to have scary dinosaurs, escaping and wreaking havoc. Luckily, this movie delivers that in spades. It all begins with the newest addition to the theme park – the Indominus Rex. This dinosaur is bigger, toothier and scarier than any dinosaur that we have seen so far. It can hide by camouflage or by lowering and raising it’s heat signature. It is smart and can set traps. It is… a little much. It is a cool idea but Jurassic World does begin to fall into the trap that Jurassic Park 3 did. It has a new dinosaur, this time one “created” so it is the focus of the story. It often means that dinosaurs you may want to see get pushed in the background – at least for the first two acts of the movie. You can see why though, this is a new kind of dinosaur and ups the scary factor. It also means we get some great set-pieces involving the new monster – especially the first moment we really see it, gruesomely dispatching a Park worker as our hero hides helplessly. That doesn’t mean that the fan favourites don’t get a run out though and the focus of the film soon reverts back to one of the “classics.” The Raptors have their own development, actually being “trained.” This is demonstrated in a great introduction to Chris Pratt’s character, as well as in a brilliant, thrilling chase through the jungle later in the movie. There was another notable absence however but to say much more would ruin one of the coolest moments of the film and a great finale for the whole story! The humans play as much a part as the dinosaurs do though and we actually get some decent characters for a Jurassic Park movie. They aren’t necessarily the most developed but do have enough about them to have you invested and keep you rooting for their survival. Ty Simpkins and Nick Robinson play the customary children in the movie and have as much to do, if not more, than Lex and Tim did in the first film. Their story probably being the most interesting in the movie. 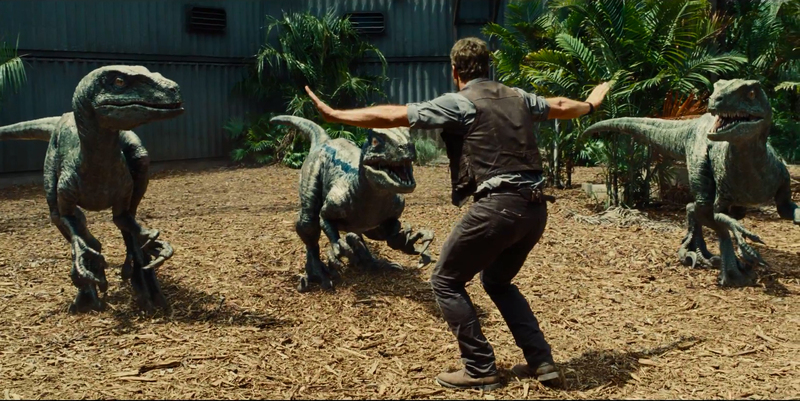 They even have an encounter with the Indominus Rex that could rival the T-Rex car attack in the first film. Chris Pratt and Bryce Dallas Howard play the adults. Pratt is clearly on hero mode and gets to be very cool in the whole movie. Often it gets a bit cartoon-character but for the most part it is just fun to have a gung-ho, traditional hero character who isn’t dark, disturbed or troubled. Dallas Howard gets to be a lot more action-hero than you’d expect and keeps up with Pratt,. She even gets her own, heroic moment and probably the coolest part of the whole film in the finale. That finale works best because it nods heavily to the original movie. 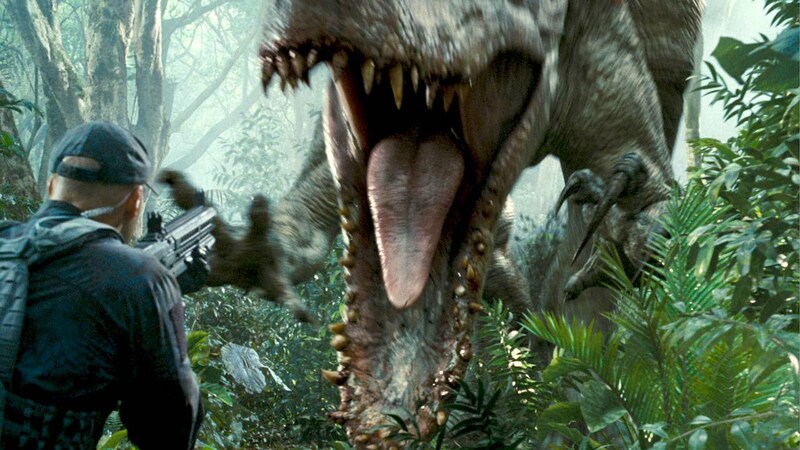 In fact, plenty of what makes Jurassic World successful is the mix of the old and the new. There is plenty here for the die-hard fans of the original film, as well as new dinosaurs, ideas and developments that keep it relatively fresh. It always feels like it is linked to the first film and could be watched as a double-feature (completely missing the middle sequels). It also means that it can be slightly predictable at times and you can work out how scenes will evolve but the pay-off always makes up for it. Overall, Jurassic World is a return to form for the Jurassic Park franchise. Returning to the theme park format means we get some of the old magic that made the first film so memorable. Goosebumps flood in when we walk around a functional park and then seeing old favourites, with minor tweaks, brings the old memories back. It does slightly over-rely on the newest additions but this is made-up for in the coolest finale since the original. The franchise is back on-top but needs to be left alone for good now!